A valid, signed US passport. 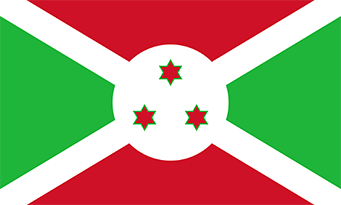 The passport must have at least 6 months remaining after the completion of your stay in Burundi, and contain at least one blank visa page. 3 An Additional thirty (30) US$ charge will be applicable for faster processing (Visa to be issued within 24 to 48 hours). N.B. : Visa fees are payable only in Money Orders or Cashier’s Check and are non-refundable; All applicants are advised to submit the exact amount of the official fee indicated above using money order or cashier’s check only. No refunds will be made to applications submitted with an amount exceeding the official fees.